As a parent, and a tech journalist, I’m uniquely positioned to better understand my son’s tech usage than most. I’m not troubled by kids being enamored with technology. I am, however, troubled by our response to it. This isn’t a new argument. As a product of the Nintendo generation, or as media likes to call me — a millennial — I too was once criticized for how much time I spent indoors. I learned to program in BASIC, saved princesses from castles and played Oregon Trail until the wheels fell off, literally. The disconnect between parents and children isn’t something new, but the emergence of smartphones, tablets and laptops has left my generational peers perpetuating antiquated notions of what childhood looks like, even though that childhood is far removed from the one we had. Corporate America has followed suit. We’ve seen commercials that rant about children and their incessant desire to play video games, check Facebook and text. The narrative in these campaigns almost always follows the “kids today are so disconnected with humanity” message before showing glorified images of riding bikes, shooting off fireworks, and running down hills. Basically, it’s a Valtrex commercial, only aimed at “reconnecting” the youth to what’s perceived as important. Maybe it’s corporate America that needs to change the channel. As the parent of a teenager — yes, I’m that old — I can tell you, without a shred of regret, that I am not at all concerned about the fact that my child would rather use an electronic device than go climb the neighborhood trees. For one, the medical bills are cheaper for glasses than they are for a broken arm after falling out of a tree, and for another, I really don’t get the problem. Are we that far gone to assume that we really know what childhood looks like for today’s youth? Better question, did we forget that our childhoods were very tech-centric as well? I’m not equating 8-bit video games to Oculus Rift, but in the sense to which it was available, most of us were far more drawn to tech than we were to playing hopscotch. 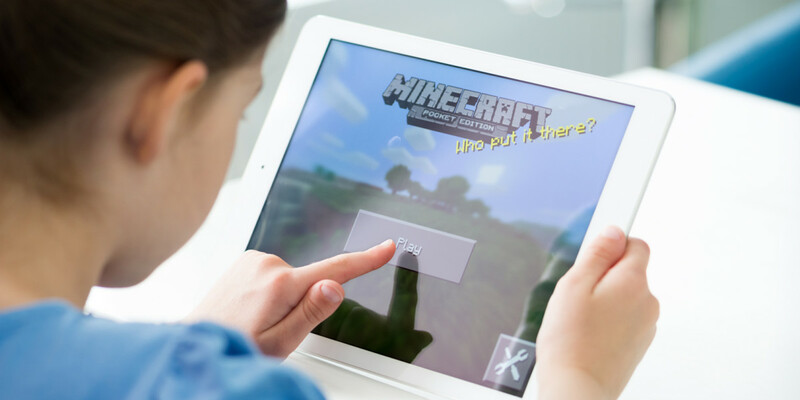 I’m not afraid that my child is using his iPad, laptop, or Playstation 4 too much. In fact, I wish he’d use them more. A Pew Research Center report shows that the United States stands firmly in the middle of the pack in math and science, the foundational courses on which all things tech are built upon. If you want to see something truly frightening, check out just how far ahead tech hotbeds like Singapore and Hong Kong are ahead of US students in both subjects. If you’re a parent, you know first-hand that motivating a child to do something they don’t want to do is practically impossible. How are we supposed to motivate an entire generation of students to get passionate about math and science when we’re doing all we can to kill this excitement and wonder at an early age? We’re technological puritans. We’re instructing kids that trees are good and tech is bad. Trees are good, but why does tech have to be bad? Why can’t the two live symbiotically in our parent brains? Look no further than 13-year-old wiz kid founder of Slik, Soroush Ghodsi. Where do you think he’d be today if his parents had been telling him all along to put down the laptop and go play outside? I had to come around on this a bit myself. At first I was more than happy for my 13-year-old to use technology as long as he had a healthy mix of fun and educational use. Everything they’re doing online has value. Watching PewDiePie could create the next generation of media personalities or video editors. Playing Minecraft inspires a sense of creation. These same traits carry over to our future architects, designers and independent game creators. Sitting in front of the PlayStation for hours is an activity that I thought had little real world value, until I heard my son talking about physics and rendering engines. The point is, the activities we think are mindless could actually be creating the passions that ultimately lead to innovation later in life. If you want a better argument against tech use, it’s that hours spent on Instagram, Facebook and Snapchat could lead you, as a parent, to have to deal with issues surrounding body shaming, bullying or even predatory interactions with those much older, at a younger age. But isn’t it our job as parents to have these conversations with our kids? And let’s not forget, you don’t have to be on social media to get bullied or harrassed; schools do a remarkably good job of that already. Blaming technology for the perceived problems with today’s youth is akin to our parents blaming the music our generation listened to for mass murders. Technology isn’t the problem, it’s merely a tool that — like any other — should be used responsibly. If anything, it offers a teachable moment that leads to important conversations which remain relevant in and outside of the tech world. Remember when you said you’d never be your parents? You lied to yourself. You’re them. While you begged your parents to let you stay up just a bit longer to get to that next save point in a former life, you’re now effectively Gestapo-ing your children into playing with the kid down the street because he’s, well, close by. Do you even get how ridiculous this sounds? Ever work at an office? How many of your colleagues did you regularly hang out with just because they worked in close proximity? For clarity, I’m not arguing that children should spend their formidable years locked inside a bedroom only to attempt escape come meal time. I’m also not saying that there’s no value in human interaction outside of a screen. What I am saying is that you’re overthinking it. I mean, if only there was a way we could (mostly) disconnect them from their devices for eight hours and force them to interact with other children. Oh, wait… there is. It’s called school. Exercise is the next argument that’s coming, so let’s go ahead and address that now too. Exercise is best accomplished under the guise of non-exercise. Meaning, if you want to get a kid off a device to go outside and exercise, it’s probably best to find something they enjoy doing rather than forcing them to move like some sort of post-punk drill instructor parent. Video games are beginning to bridge this gap, and further improvements in the virtual reality space stand to improve them even more. For now, you can compromise and force your sedentary kid to play Just Dance on their console, or perhaps try out Wii Fit, or Kinect Fitness. Or, you could do what I do; just enroll him in an activity that he likes. My son swims, yours might prefer Tae Kwan Do. In the grander scheme of things, it doesn’t matter what they’re doing, as long as they’re moving. While we criticize children for focusing too much on their electronic devices, I’d argue that the real criticism should fall firmly on us, the parents. It’s our job to ensure that we create the best and brightest men and women we can, that we mold these young minds into future leaders and innovators, and what are we doing? Bitching about how much time our kid plays Minecraft.